Gold Coast Music Awards today announced beloved broadcaster, Sarah Howells to MC the 2019 Music Awards alongside an exciting lineup of the region’s rising stars - Casey Barnes, San Mei and Peach Fur - to perform live at the illustrious beachfront event in May. Taking place at Surfers Paradise on May 2, the Gold Coast Music Awards is gearing up for another huge year celebrating the vast and varied array of quality music produced from the region. “The Gold Coast is full of amazing talent, with artists like Bobby Alu and Amy Shark absolutely killing it overseas after getting their start here,” said Sarah Howells, the voice of roots in Australia for almost a decade at triple j and now Double J. “The industry and community in the area have birthed a slew of brilliant venues and music events, cultivating even more talent year after year. “It's an absolute pleasure to be heading to the iconic Surfers Paradise beachfront to host the Gold Coast Music Awards - a little different to the way I was heading there in between classes in my Uni days, and with much better music!” said Howells, a Griffith University Gold Coast graduate. Kicking off the 4-day Surfers Paradise LIVE festival, the Gold Coast Music Awards free live concert features 2018 Golden Guitar finalist Casey Barnes, who is set to make his nationally televised American PBR debut next month; San Mei, fresh off stage from some of the country’s biggest festivals, Falls and Laneway, as well as a SXSW showcase; and indie rock rapscallions, Peach Fur, a.k.a the ‘awesome foursome’ according to triple j Unearthed music director, Dave Ruby Howe. The Gold Coast has seen national and international exports in Amy Shark, grammy nominee Fisher, Hollow Coves and Paces in recent years, proving to be fertile grounds for world class music production. “The Awards shine a spotlight on the incredible depth and diversity of musical talent we have here on the Gold Coast by bringing together the music industry to celebrate both the high profile artists and the quiet achievers,” says Gold Coast Music Awards director, Samantha Morris. Surfers Paradise LIVE (2 May - 5 May) is a free, family-friendly festival renowned for presenting an iconic line-up featuring some of the best-known Australian artists, this year including The Living End, Hoodoo Gurus and The Screaming Jets supported by Daryl Braithwaite, Jebediah, Reece Mastin, Thirsty Merc, Chocolate Starfish, Boom Crash Opera, and Bachelor Girl. Nominations for the fifth annual Gold Coast Music Awards close 5.00pm, 27 February. Finalists announced 4 April. The Gold Coast Music Awards ceremony will take place on Thursday 2 May on the beach at Surfers Paradise. Tickets on sale now. All finalists have the chance to be included in the People’s Choice Award, which will be celebrated with a special industry launch event to be held at Skypoint on 16 April. Sarah Howells describes herself as a broadcaster, publicist, MC, writer, DJ, voice over artist, traveler, explorer. She presented Roots N All on triple j for nine years and currently hosts Stir It Up on Double J, for a weekly dose of blues, folk, reggae and roots. 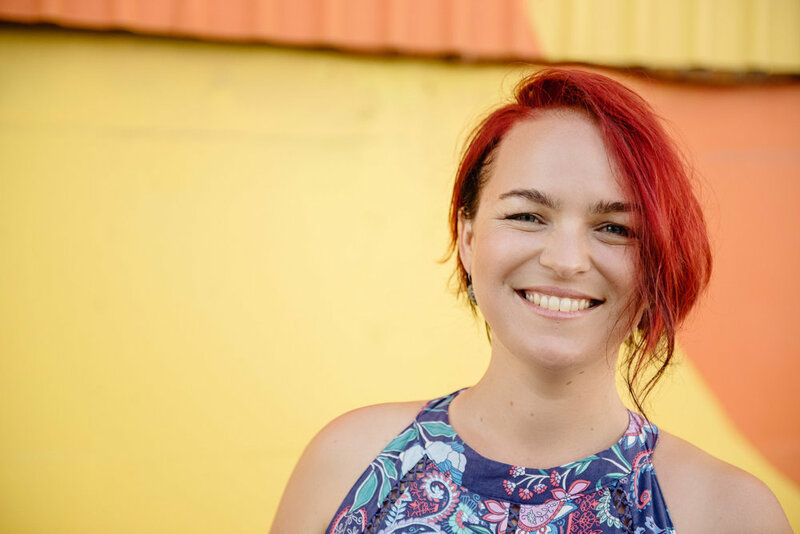 She’s spearheaded the PR for Woodford Folk Festival and MC-ed WOMADelaide for the past 9 years, launched the Brisbane City Council's G20 Project and hosted Summer of Soul Festival in Gippsland. San Mei released her sophomore EP ‘Heaven’ in late 2018 which received big love from triple j, Consequence of Sound, i-D and RAGE. She’s played some of the biggest stages in Australia, including Falls and Laneway and will be showcasing at SXSW in March 2019. Golden Guitar Finalist Casey Barnes is making a monumental impression on the Australian country music scene. He’s had hits in Europe, recorded and toured in America, appeared in a top-rating TV show in Australia and performed alongside many international stars including Mariah Carey, Lady Antebellum and Bryan Adams. Peach Fur have had their hands full smashing the circuit, playing festivals such as Shakafest, Ozfest, The Gold Coast Show, Hey Sunshine fest and Bohemian Beatfreaks as well as regularly playing venues such as Elsewhere, Miami Shark Bar, NightQuarter, The Zoo, The Northern plus many more.